Moving to Germany has been one of the best decisions of my life. It’s about 15 months since I first landed in Munich after that one-way flight from Chicago. It’s turned out very well, but that isn’t to say the move was effortless or flawless. 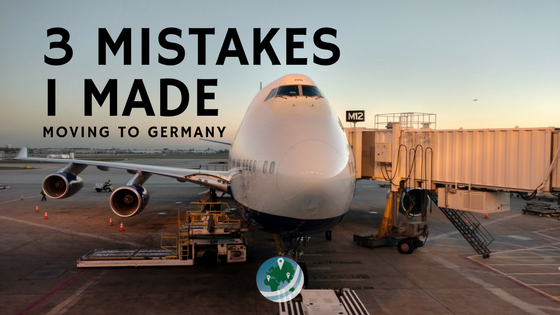 I certainly made a few mistakes before and in the middle of moving to Germany. The 747 that carried me and my entire life’s belongings (that I thought I needed) to Germany in 2015. The first mistake I made moving to Germany is really a twofer. 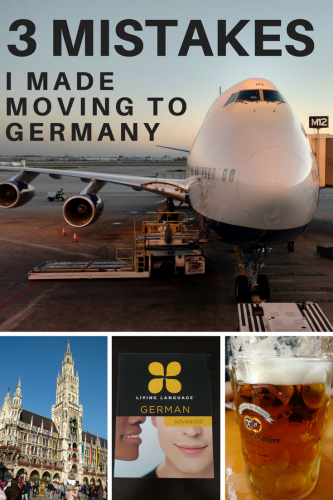 Late last September, I stepped off my one-way flight and took a short train to Munich. With a large checked bag, a carry-on sized rolling bag, a 40-liter backpack, and my laptop bag, I trudged through the city to my first AirBnB. I had reserved a room for 3 days to let myself get settled in the city. I soon learned that 3 days was not nearly enough. Generally, organizing an apartment from abroad is difficult, no matter the country. Often in Germany, you’ll run into the catch 22 of needing a German bank account in order to sign for an apartment. However, you often need to register your local address to sign up for a bank account. Normally, the easy way around this is staying at a cheap hotel or AirBnB for a week or so while you get everything set up. You can indeed register at that address for the time being until you find a real place to live. This would have been great if I could have found anything remotely cheap for longer than 3 days. Unfortunately for me, I arrived right in the middle of Oktoberfest. During Oktoberfest, everything in the city is booked months in advance. Since I had been traveling all summer and my flight date back to Munich was somewhat uncertain, I wasn’t able to find a cheap, short-term place to live. 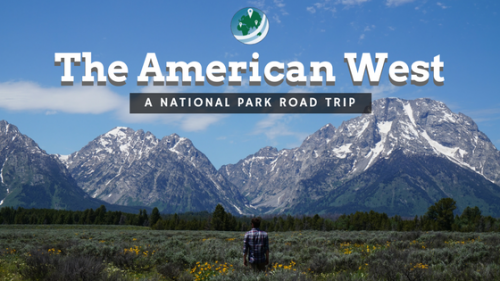 I ended up having to skip between hotels, hostels, and AirBnBs for about 10 days. I think I stayed in 4 different places during that time, around the city and into the surroundings. All the while, I had to lug all of my life with me from place to place on crowded trains and buses. Actually, 10 days is an amazingly short amount of time to find a place to live in Munich. It’s especially lucky when you factor in arriving during Oktoberfest and at the beginning of the winter semester. During the Fall, thousands of students in the city search their first place or move within the city. Because of this, it can be near impossible to find an apartment, especially when you don’t really speak German. There aren’t nearly enough student apartments for the number of people studying here. Naturally, as a result, the high demand for affordable housing way outstrips the supply in the autumn months. Once I got settled into my new apartment, I started to get back into the groove of being in university again. Moving to Germany in late September, I knew that I would have likely missed the deadline for scholarships in my first semester. However, I thought I would have been able to apply starting with my second semester. My hope was to get as much financial help as possible to make my savings last as long as possible. I soon realized that the deadlines for many of the scholarships, for foreign students at least, are actually very early. For example, the deadline for the Deutschlandstipendium is in June of the year of your first semester, which starts in October. I wasn’t even admitted to the program until July. You’re actually allowed to apply for the scholarship before you’re accepted, but that didn’t even cross my mind. I had just finished applying to schools by June, and I had no idea where I would get accepted to. As it turns out, this was my only chance at the Deutschlandstipendium. It’s the only chance master’s students have to apply to the program, too. One of the disqualifying criteria is that applicants must not be exceeding the normal duration of your program at the end of the scholarship. Well, the scholarship runs for a full year. That means that if you apply in June during your 2nd semester, the scholarship would last until October of the next year. This would be the end of your 4th semester, beyond the limit of a typical master’s degree in Germany, 3 semesters. Not all scholarships have such stringent criteria or such early deadlines. However, you should start looking as early as possible once you begin applying to schools in the winter and spring. 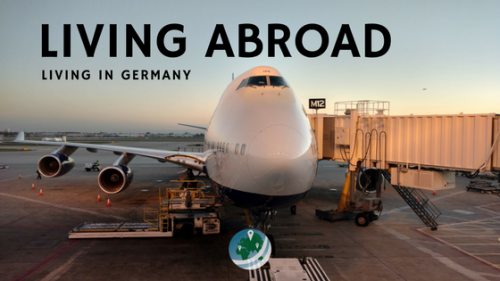 Don’t wait until you’re actually moving to Germany to begin looking into your opportunities. Many universities here have different sets of scholarship opportunities available, so look into each school individually. Besides looking at each university’s website, you should check out MyStipendium.de. MyStipendium aggregates all your opportunities for scholarships here in Germany. It takes into account your school, your program and interests, and even things like your country of origin. Get on it early, so you can get all the help you can. The third, and definitely not final, mistake that I made when moving to Germany was not starting German courses my first semester. In the grand scheme of things, this hasn’t affected me too much. Today, I’m happy with my current level of German language skills. That doesn’t mean I’m going to stop advancing my skills now, though. I still struggle with sentence structure, and generally, my vocabulary is too small. If I had started with German courses a year ago, I would definitely be further along today. Before moving to Germany, I practiced daily with language apps like Duolingo and Memrise. I also listened to German TV and radio shows, as well as a great podcast called Coffee Break German. These two apps were great for basic vocabulary, phrases, and beginning the mental process of learning a new language. Coffee Break German gave me great insight to German grammar, culture, and lots of new words. Listening to German media probably helped me with general comprehension and understanding. These things are all very important, but it’s good to remember that’s not everything. You simply can’t replace having real-life conversations and interactions with apps and media. As I said, this isn’t too big of an issue for me nowadays. My day-to-day German level is mostly sufficient and I even participate in some very technical meetings for work in German. During my first semester, instead of a German course, I continued to practice with those language apps continually and actively tried to learn the grammar on my own. Besides that, I lived with some Germans, too. Living with the locals was probably the best thing for my progress learning the language. Living with Germans greatly benefited my pronunciation and improvisation skills. However, I often struggled with remembering grammar structures, vocabulary, and correct word endings. Even though I have progressed quite well, if I took a German course last semester I might have a more in-depth knowledge of the language today. Even with my almost religious Duolingo practice and living with Germans, I realized that my German skills were still lacking. Though my comprehension and pronunciation had definitely improved, I had learned a very limited set of phrases and words, and only an inkling of how they actually worked. Luckily, I had also bought a set of German textbooks back in the States. The books were enough for me to begin to teach myself German grammar and structure. Still, had I taken a German course first semester, I would have a deeper understanding today. All in all, these mistakes haven’t had any really bad consequences. What they are, however, are examples of ignorance of what would be different here in Germany compared to the States. There are just some things you won’t think about. You’re going to make mistakes when you move abroad, too. Hopefully, you won’t make any of those I wrote about above. 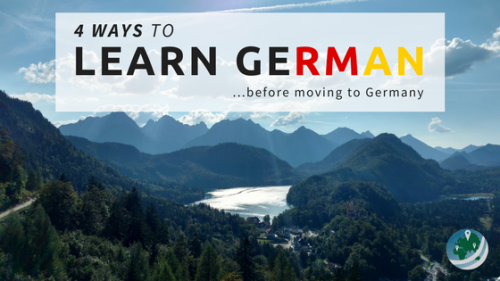 For those of you moving here, I’ve got some tips on how to learn German before moving here. 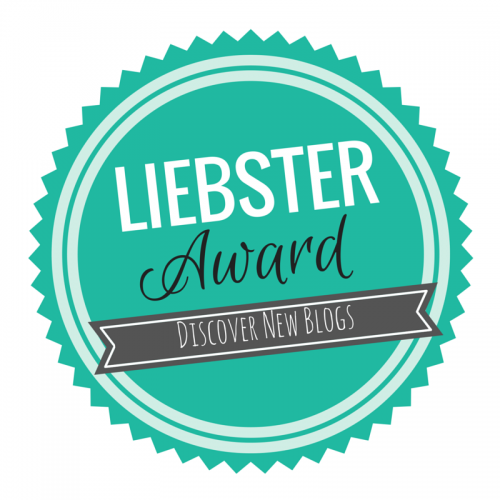 I’d love your input on this post, or anything related to the mistakes we make moving abroad. If you’re thinking of moving abroad, what are you afraid of screwing up in the process? Are there any big “ifs” you have about the moving process or life abroad? If you have already moved abroad, what kinds of mistakes did you make along the way? Munich is such a beautiful city, but unfortunately a very expensive one! Enjoy your time there 🙂 I’m a German native and moved to the States 7 years ago. While my English was very good when I made the move (started learning it at age 10), I’ve come across a ton of idioms that are impossible to learn in school. Nothing replaces living in a foreign country to really polish your language skills. Oh how true that is! You really can’t replace being completely immersed by the language either. When I was back in the States for the Holidays, I noticed something weird – everyone around me was speaking English. I guess I had gotten so used to hearing German around town that it became the new normal. And, you should know – if you compare the biggest cities of the US with the biggest cities in Germany, the German cities are pretty much always cheaper to live in than their American counterparts. Just compare the top three – New York, LA, and Chicago are definitely more expensive to live in than Berlin, Hamburg, and Munich. Compared to other cities in Germany, Munich is “expensive” – but I don’t think it really is. Sure, wage ceilings are higher in the States, especially in these cities. However, the basics of life – apartments, food, and other household items are so, so much cheaper all across Germany. I think this more than makes up for the loss in that top wage levels.